Our Bi-Fold Doors are specially made to order, you can have up to 7 opening sashes! and a choice of it opening inward or outward. The Bi-Folds are standard 28mm Double Glazed. Also we have unbeatable sash weight! 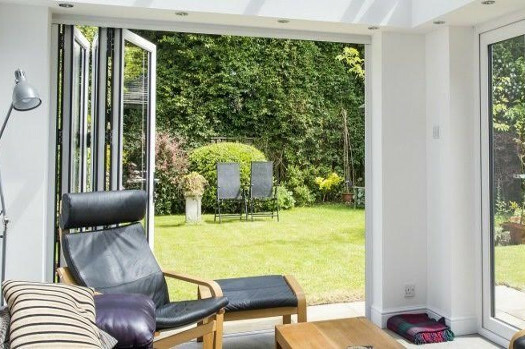 Bi-Fold Doors are perfect for bringing in natural light and mixing the elements of outdoors and indoors this is great on a summers day as you can have them open wide and let a nice breeze through the house. The natural light through the Bi-Fold will change the whole room lighting it up with ease.